Sunbeltblog reported about new rogue antispyware SpyHeal. 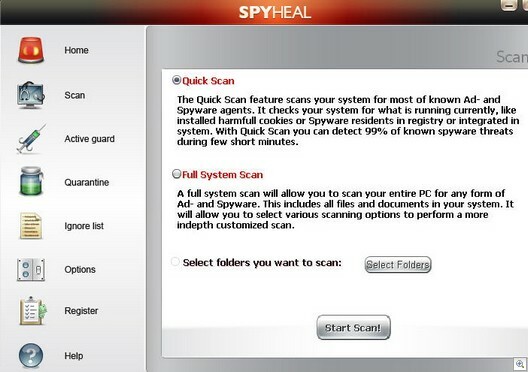 This is probably the replacement for Spyware Quake (or SpywareQuake). Sysprotectionpage(dot)com showed spyheal(dot)com as one of the new partner sites and some rogue anti spyware apps also. W32.Myzor.FK@yf is a virus that infects files with .exe extensions. It attempts to steal passwords and private information from the infected computer. 3. Scans the hard drive for .exe files and infects any executable files. Searches for passwords/information, which it may send to a remote attacker. Recomendations:	Click “OK” to download officially approved security software. Always keep your patch levels up-to-date. What strange :), i have open this page in linux -“Not Affected System“, but got the fake message!